Hello and welcome to Know Your Yooyus! This is a guide for those interested in the Yooyu as a petpet. Here you can learn what their personality is like, their strengths and weaknesses, favourite activities and which of these wonderful creatures would make the best petpet for you. Perhaps now you would want to say, they're all Yooyus; what could possibly be the difference? Then let me tell you now my friend that nothing is ever as simple and straightforward as that with Yooyus. Even the most experienced Altador Cup veterans and long-time Yooyu-owners are still surprised about some new things we are to this day still learning about these intriguing creatures. So allow me to try and explain the basics about Yooyus and become as fascinated as I am with these little petpets. Just a quick warning beforehand, though. All Yooyus regardless of colour were originally kept for high energy work like courier-jobs and yooyuball. You should therefore only take a Yooyu in if you can give it enough time to do something useful or they might decide to go look for something to do themselves which may cause complete chaos and destruction. Every Yooyu is also unique and may differ from standard characteristics listed below. Let's kick off with the common Yooyu. Yellow belly, brown exterior and blue eyes. That is what most people will tell you a regular Yooyu looks like. But did you know that the common Yooyu actually has a few colour variations? Well of course, you might say, I've seen some before like the Snow and Fire Yooyu. Snow and Fire Yooyus are different from a regular Yooyu like coffee and instant coffee (not telling you which is which :p), they're both coffee but there is a world of difference between them. Let me try to enlighten you all a bit more. All those of us who are proud owners of a Yooyu know that contrary to other petpets, even though they come in multiple colours, a Yooyu can NOT be painted! Then every colour is a different kind of Yooyu, you might think. After plenty of research scientists have discovered that colours like the Red Yooyu and Christmas Yooyu are actually variations of the common Yooyu and act pretty much the same. True differences can only be found in the Snow Yooyu, Fire Yooyu, Darigan Yooyu, Faerie Yooyu, Clockwork Yooyu and Mutant Yooyu. So, what is typical for the common Yooyu that can not be found in the others? Any Yooyu, no matter what they look like is an expert in survival and while most have clear outward features to aid them in that venture the common Yooyu does not. Though one might think its brown colour would make an excellent camouflage, when you see a Yooyu in its homeland of Altador you will notice immediately how their colour makes them stand out instead of letting them blend in. Neither does this little Yooyu have control over the elements to make fire or snow appear at will. No, the common Yooyu has something much better; superior intelligence. Just look at a Yooyu-job like crisis courier. Why are there no regular Yooyus carrying messages? Because they are the ones delegating it all behind the screens. Luckily though, they have a very good disposition and can best be described as a team-player. Their high intelligence and drive to make others happy makes them easy to train and great companions for your pet. Just make sure you keep your Yooyu stimulated with plenty of activities, both physical as mental, and you will never want another petpet than this loyal critter. Now that we have had the regular Yooyus, let's go and take a closer look at the other, slightly more exotic colours. Up first is the Snow Yooyu. The Snow Yooyu is one of the two types of elemental Yooyus. With their blue belly, white exterior, blue eyes and ice crystals forming in the air around them, they are easily recognisable. This Yooyu has adapted to survive by freezing its enemies to slow them down or even completely stop them in place depending on their size and vulnerability to cold. An incredible power, but no matter how useful it is for the Yooyu it does come with a slight downside. Their metabolism is slowed because of their low body-temperature and this means they tend to easily gain weight and become fat. To keep your Yooyu happy and healthy it would be best to keep them on a strict diet and give them plenty of exercise. Contrary to the regular Yooyu, the Snow Yooyu tends to be a hard petpet to train. Not that they would disobey and do the opposite of what you ask them to do, just that they are very reluctant to give something their all unless they see the significance. A Snow Yooyu will never instantly bond with someone, instead they take their time to get to know you before putting their trust in you. But once they see you as a friend, they are fiercely loyal. And as a bonus, keeping a Snow Yooyu can also assure you of an unlimited supply of ice cubes for your drinks in summer. In short, a Snow Yooyu is a petpet best suited for the patient. May be very critical and cold on the outside, but with a heart of gold. 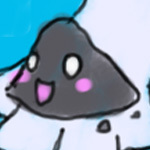 The other elemental Yooyu is almost polar opposite of the Snow Yooyu. I am of course talking about the Fire Yooyu. The easy smile and seemingly endless bouts of energy and high spirits make the Fire Yooyu one of the most beloved Yooyus with both Altador Cup fans and Yooyu-owners alike. They have a black belly and red exterior with vibrant blue eyes and the ability to conjure up flames all over their body at will. Should you ever be unsure when faced with two Yooyus which one is the Red Yooyu and which one is the Fire Yooyu, just look at their behaviour. If the Yooyu is interested in his surroundings and looks around before turning to you and inviting you to play, it's the Red Yooyu. The Fire Yooyu is the one bouncing off the walls, knocking over practically every object in their path and accidentally setting fire to the others. They are just one ball of high energy and will demand the biggest amount of exercise out of all the Yooyus. At the same time they are also the friendliest of them all and completely unafraid of anything. They love to hug others or get hugged, just remind them to put out their flames before doing so. I have personally never met a Fire Yooyu whose honesty and openness didn't win him the hearts of everybody around him. That is just all part of the Fire Yooyu, they will never put up a front or lie. Neither will they think before acting which can sometimes get them into trouble. They also don't know the meaning of patience which many a yooyuball player can testify to as a Fire Yooyu tends to launch himself if he thinks the game is going too slow to his liking. So in other words, if you have plenty of energy to burn, are happy-go-lucky and want a petpet that matches your vibrant personality, the Fire Yooyu is the perfect petpet for you. The next Yooyu looks a lot less friendly, even when smiling. With belly and exterior a different shade of purple and small red eyes, this Yooyu is the first of the two winged cathegories. I am talking, of course, about the Darigan Yooyu. What is it about something evil-looking that attracts us so? Whatever it is, it sure is working for the Darigan Yooyu! The Darigan Yooyu is quite easy to predict. They get pleasure out of doing the exact opposite of what you want them to do. For a Yooyu-owner, this means you might want to read up on reversed psychology. For yooyuball players, this used to mean you just had to aim in the opposite direction of where you wanted the Yooyu to go. Sadly enough for the sanity of quite a lot of dedicated yooyuball fans, the Garigan Yooyus used in the Altador Cup have noticed this strategy and came up with another way to not do what the players want. They now go in a straight line any which way they want. This does have cost them quite a bit of their popularity among the Altador Cup fans, but Yooyu-owners say this should have been expected from this type of Yooyu. A Darigan Yooyu just likes to cause mischief and will always be tempted to help out with a good prank or cunning plan. They are also very good at thinking outside of the box. It should therefore indeed not come as a surprise they would find an original way to cause trouble on the yooyuball field. Many experienced Yooyu-owners can tell you however that a Darigan Yooyu can follow your commands if handled properly. They just don't like repetition and set rules and need to be allowed to cause a little bit of mischief from time to time. Beware to make sure you teach them early-on how far they can take a prank though, or they might quickly become more than you can handle. Still overall the Darigan Yooyu is a social creature and likes nothing more than to be a part of a group. If you own more than one type of Yooyu and one of them is a Darigan it is recommended to take a common Yooyu as well, as a Darigan Yooyu would love to tease and prank a grumpy Snow Yooyu and easily convince an excited Fire Yooyu to join in. A regular Yooyu is intelligent enough to not follow any of the plans and able to come up with a better alternative for something to do that won't be seen as an annoyance by others. So if you know a thing or two about reversed psychology and like to be a bit mischievous from time to time, the Darigan Yooyu is your ideal partner in crime. The second type of winged Yooyu couldn't look more angelic compared to the Darigan Yooyu. With its pink belly, light blue exterior with pink markings, soft blue eyes and slightly translucent butterfly wings the Faerie Yooyu is often referred to as the prettiest of them all. But don't let that sweet face fool you, these magical-looking creatures can quite literally throw you a curve-ball. If there is any word that would fit a Faerie Yooyu, it would be stubborn. They will never do straight what you ask of them, instead going in a roundabout-way That is because when training a Faerie Yooyu, what they want to do is train you! They typically like to think they're two steps ahead of their owners, trying to get more treats for the same trick a regular Yooyu would do for nothing. Why else do you think you need those flying moneybags at crisis courier whenever a Faerie Yooyu gets in the game? They need some extra motivation! A Faerie Yooyu also has no problem with using its adorableness to manipulate its owner, so do not feel guilty to turn your heart into a stone sometimes. If you don't this little creature will walk all over you. Faerie Yooyus are very sociable and bond well with their owner. Unless you are a very experienced Yooyu-owner it is not advisable to keep more than one Faerie Yooyu at a time however as they will tend to team-up against you when they want something. They are also capable of flying the highest of all the Yooyus and when not properly trained will be a handful to catch once they get outside to play. But all in all the Faerie Yooyu is a beautiful and friendly petpet who does best with nice but firm and consequent owners. Up next is the Clockwork Yooyu. Now you might think; this is a Robot petpet! Every personality-trait is programmed, they don't have a real character! All they do is blow themselves up! If this was what you were thinking, I do not recommend you to take on a Clockwork Yooyu until you have learned a great deal more about them. Yes, with their metal-plated bodies and green led-eyes, it is obvious that the Clockwork Yooyu is a machine. A machine Altador Cup fans know that is built to explode after a certain short amount of time. But thanks to many skilled and concerned yooyuball players also a machine that has managed to stay in one piece for multiple years now in some cases. And now scientists have reported that some of these machines are showing clear signs of having an individual personality and the ability to learn beyond their programming. More research is still needed to find out more about the mind and personality of the Clockwork Yooyu, but in any case it is recommended only to own one if you enjoy puzzles and putting together complex bits of machinery. So far it has been noted however that Clockwork Yooyus seem to be very dependent on their owners and want to do everything in their power to assist them in their daily chores. So if you are a good mechanic who would like a companion who sticks by you no matter what and don't mind the occasional explosion and puzzlework afterwards, look no further! The Clockwork Yooyu is the perfect petpet for you. This means there is only one more type of Yooyu left, and as it should I have saved the best for last. It has often been said that one either loves or loathes them. With their purplish-blue belly, green exterior with thick thorn-shaped horns all over, big red eyes and huge grinning mouth with a long tongue sticking out to the goalie whenever they are scored with, I could only be talking about the Mutant Yooyu. Mutant Yooyus are very independent and don't like to work for others. They prefer to make their own plans and do thins their own way. They are also built for survival in practically any environment. Their hard outer skin with spikes are an excellent shield against predators and their quick mind can easily find ways to escape from any situation. This is also reflected in their performance on the yooyuball field. They have learned to move like any of the other Yooyus, but they love to keep you guessing which move they will go for. This makes the Mutant Yooyu in my eyes the ultimate challenge for every Altador Cup fanatic. Before the Darigan Yooyu changed tactics the Mutant Yooyu was the most difficult to score with and caused many people to suspect some kind of Mutant conspiracy to be afoot. Now though a new appreciation for the Mutant Yooyu has appeared. Though still difficult to score with, at least they're more fair than the Darigan Yooyu's movement. Mutant Yooyus can be quite aggressive when not properly socialised and tend to guard their own territory well. These characteristics make them great for delivering messages as a courier during a crisis when enemies might try to intercept the message. Mutant Yooyus are not afraid to show people exactly who they are without coming up with excuses. When threy don't think they want you as their owner, they will let you know. 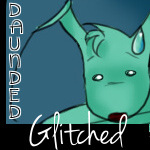 This makes the Mutant Yooyu not suitable for people who like an obedient petpet who is dependent on them. Like said before, the Mutant Yooyu is best described as an independent petpet. If you do choose to take one of them in, make sure they know what they are allowed to do and what not, but let them free to make their own plans when things need to be done. When they feel at home with their owner, there is no better petpet than the Mutant Yooyu. They are smart, cunning, caring, energetic and protective. 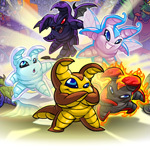 If you want a petpet that can look after himself when need be and with a unique and strong personality and you like Mutants and can easily ignore the remarks people who don't like Mutants can make, then you have found the perfect petpet in the Mutant Yooyu. That is all for this volume of Know Your Yooyus. Once more research has been done about these fascinating creatures be sure to be on the lookout for a second volume: Know More Yooyus.